At Beckett Glass & Aluminum we offer commercial entrances and storefront framing from several national manufacturers. We fabricate and install storefront doors and windows to meet the specifications required for your project. 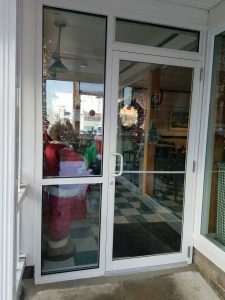 Although not thought of as a “Contract Glazing” shop, we do provide parts, glass, service and installation for aluminum entrances and commercial aluminum windows.